Draft2Digital has come up with a solution to a problem which has been nagging authors for years. Authors are frequently encouraged to link to as many different online bookstores as they can. The goal is to make sure that a reader can find an author's book in their preferred bookstore, but given how much work this entails most authors just link to Amazon and the several second-tier stores (Google, Apple, Kobo). If you have been following digital publishing news for long enough then you can probably recall times when authors were excoriated for not linking to all bookstores. 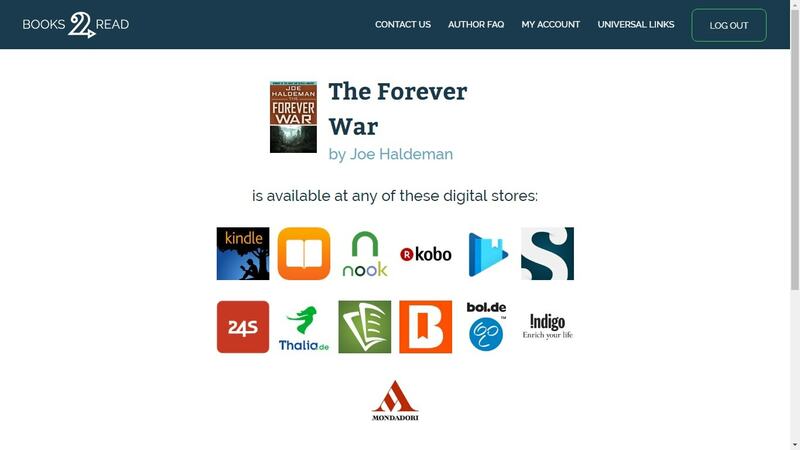 Earlier this year Books2Read (a Draft2Digital subsidiary) launched a new service called Universal Book Links. But on the plus side there are a huge number of links to more bookstores than you can shake a keyboard at. The service works for anyone, and if you create an account you can even use this service to manage your affiliate links for those bookstores. And that means that book bloggers, for example, could use this service when they review a book and link to all of the places where you might buy the ebook. Authors could also use it to help them find all the places where their book is available. It would be best practices to link to Kindle, iBooks, Kobo, and Google Play directly, and then use Books2Read to cover the rest. But that's just my hot take; if you have experience with Books2Read, I'd love to hear from you in the comments. Looking at the sample page my immediate reaction is to wonder where that Kindle icon will take me. Bloggers – and authors who should care more as itcould cost them sales – have a habit of just linking to amazon.com, which is annoying for a UK resident. So, does the system offer country specific amazon links or does it use your location to select an amazon store? Its supposed to be a smart system so I am pretty sure it will send you to Kindle UK and me to Amazon.com. Click it and let’s find out. Experiment is always a good idea. Clicking the amazon icon gave me a pop up asking if I wanted to make Amazon my preferred retailer – presumably meaning the other icons will not appear if I do so – and then took me to amazon.co.uk. So the desired result (unless I’d switched to buy from the USA). My sense is extra links won’t sell many more books. Either people are searching within those stores already, or they are just extra icons and links that degrade the higher value of the page (each image can be a load on the site, and outbound links get “linkjuice”). In addition, using a service will invariably slow down a site as the visitor to your site has to load stuff from another site as well.